Cash In By Owning a Computer and Network Services Franchise! We are seeking professionals that possess strong management and sales skills. 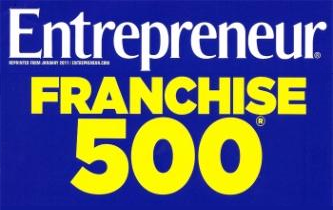 Our franchise owners do not need prior computer-related experience to be successful. In fact, our top producing franchises have come from various industries unrelated to technology. Our owners do not fix or repair computers. 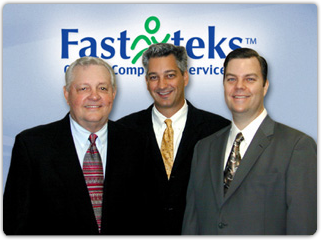 Fast-teks franchise owners manage a staff of technicians that travel to and conduct all of our services remotely or at the site of the client. More than ever before, small and medium-sized businesses are seeking a complete IT solution for all their needs. As mobile and web platforms develop and businesses rely more on technology, outsourcing of computer specialists will continue to grow. Fast-teks delivers proactive computer and network maintenance services designed to reduce costs, increase profits and mitigate business risk. Chris Tain, Chief Technology Officer. Our call center answers all incoming calls for our franchise owners during business hours, including weekends. This one of kind service not only "sells" your potential clients on using our service, but even dispatches your technicians to the job-sites. By utilizing our call center, franchises never miss an opportunity for a client and create time to focus on the growth and management of their business. Disclaimer: The information on this website is not an offer to sell, or a solicitation of an offer to buy a Fast-teks® franchise. An offer to buy a Fast-teks® franchise is made by Franchise Disclosure Document only. This offer is not being directed to any resident of any State, Province, Country or jurisdiction where Fast-teks® is not currently registered to offer or sell, unless otherwise qualified or exempt. Contact us for additional information by dialing 800-262-1671. Copyright © 2015 Fast-teks, Inc. All rights reserved.